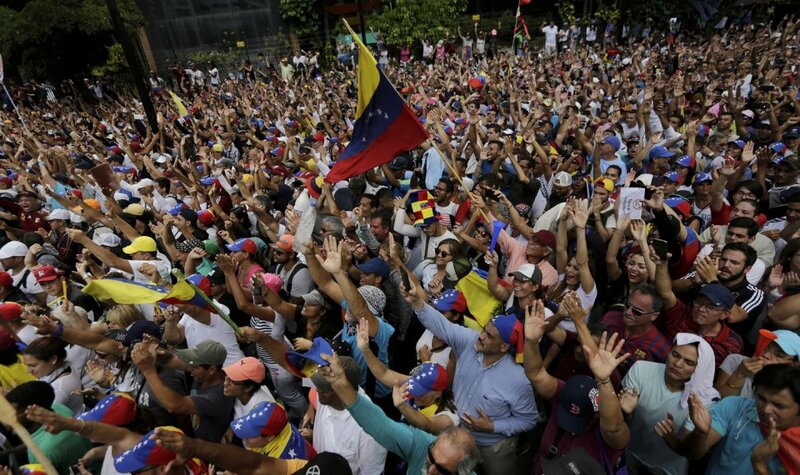 Venezuela: What Next with the Money? As I write this, Venezuela is in crisis. The world is waiting to see if we will get the peaceful transition of power that we all hope for, or whether the brutal regime there will manage to continue on once again. Right now, we can only wait. While we wait, I’d like to pose a challenge to the Cryptocurrency, Blockchain, and FinTech Communities. I want to hear your best ideas, evidence, and advice for Venezuela. In the past few years I’ve heard a lot of innovative (perhaps sometimes extreme) ideas about money, how it should be managed, and its role in our societies from these communities. So, this is my challenge for you: Clearly the Chavez/Maduro regime has done just about everything wrong when it comes to managing currency. Once Venezuela has made a peaceful transition and carried out fair elections, what should the new government do to provide a functioning and stable currency for the Venezuelan people? How can they avoid the same inflationary crises which are all too common in Latin America? What role might new technologies play in the solution? Here is a list of the big questions on my mind. Feel free to comment on them individually or as a group. Also, feel free to add to this list in your reply. Venezuela’s long-time official currency has been in an inflationary nosedive for years, worsening dramatically in recent months. Foreign exchange has long been strictly controlled by the state, including a pegged exchange rate that they could only afford to honor for a privileged few or in very limited amounts to ordinary citizens. The Bolivar is not currently traded on international exchanges making travel and trade very difficult for most Venezuelans. Is it possible to fix the Bolivar, at least bringing it back in line with other Latin American currencies? Or, does it need to be replaced – and how would that happen? Is there any way to preserve value for regular Venezuelans who currently have Bolivars in their accounts? I’ve said many times that the Petro is the first state-sponsored crypto-scam. I stand behind that statement. The Petro is not a real cryptocurrency according to the judgement of every person I trust to make that evaluation. Unfortunately, it is a scam that has continued, and Venezuela now has accounts, including pensions, that show Petro balances. What should be done with the Petro? Should it be scrapped? If so, how can they unwind what has been done? Would a “real Petro” (a state-issued, commodity-backed digital asset hosted on a publicly-verifiable blockchain) make sense? Could the fake Petro possibly be replaced with a real one? In responses for this one, please hold on any critique of my Petro assessment. If you think that it’s a real thing, a friend of mine will be coming out with a bigger and better challenge for you soon. I’ll be announcing it when it happens. Be patient, your chance to embarrass yourself will come. The US Dollar has been an unofficial (and mostly not legal) secondary currency in Venezuela for a long time. The Euro is also used, and probably anything that isn’t the Bolivar at this point. Legal trade in the dollar and other foreign currencies has been severely restricted under the regime, and there is a very active black-market trade. Other Latin American countries have experimented with dollar-pegged currencies, with mixed results. Should the US dollar or any other foreign currency have some official role or status in the Venezuelan economy? How would that work? Is adopting the US Dollar or some other foreign currency a valid option for Venezuela as a sovereign country? Ok, this is the one that many of you were waiting for. Part of my interest in cryptocurrency came from the potential I see for it to help in Venezuela and other countries with failed currencies. It may be that a major window of opportunity is opening, but I would suggest that we need to proceed with caution. Cryptocurrency is in use in Venezuela, but it’s very much in the early adopter phase – something for a relatively limited few. Bitcoin’s 10 years of existence is impressive, but no cryptocurrency has yet been tasked with supporting a national economy. No matter how solid your economic theories may sound, nobody can know in advance what might happen. Economic theory has a tendency to bite us when it is put in to practice in new and different situations. Now that you’ve been reigned in a bit, I do think there are some important questions to discuss. Is blockchain and cryptocurrency technology really ready for official use by a sovereign country? Are the people of Venezuela really ready for digital money? Should Venezuela adopt a decentralized, public, global cryptocurrency? Or, should they consider developing a (real) state-issued one? (Again, the “real Petro” concept.) If Venezuela is to adopt one or more cryptocurrencies, how should they manage the transition from conventional fiat currencies? What accommodations would they need to make in their financial system? In the end, these decisions must be made by Venezuela alone. But, it would be great if could give them some good ideas to consider. If you respond, please refrain from projecting any political dogma on the situation. There is too much of that going around. No stories of how Venezuela does or does not prove things about socialism, totalitarianism, etc. Just ideas for how they can create a fair and useable currency for their people please. This is an informal challenge. Share thoughts on Twitter, LinkedIn, or on the blog of your choice. I’ll find some way to feature good and well-considered responses. I’ll also award the first 100 good and well-considered responses that come with an Ethereum address with one ArepaCoin* as a thank-you. If tokens aren’t your thing, just reply and I’ll consider featuring your ideas if they are excellent and unique. * ArepaCoin is an ERC20 token created by me to raise awareness for Venezuela. It has absolutely no monetary value and I nave no reason to think it ever will. It is a digital “thank you note” and nothing more. Limit of one per person. The token details can be seen here.